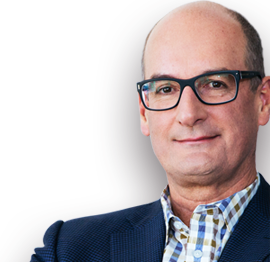 David Koch (Kochie) is co-host of Australia’s number one breakfast program, Sunrise. Before Sunrise, David Koch was a pure finance nerd and he still remains one of Australia's foremost business and finance commentators. But his first love now is teaming up with Sam to host the Sunrise morning show, which has been the market leader of breakfast television for 11 consecutive ratings years. David Koch maintains his passion for money matters and is heard on radio stations around Australia as well as writing finance columns for News Ltd newspapers and a range of other online outlets. David Koch has a strong interest in small business issues and was a director of the NSW Small Business Development Corporation for over six years being appointed to the board at its inception in 1996. As a business owner, operator and company director, David Koch is in demand as a presenter and regularly addresses a wide range of corporate events and groups. His specialty is speaking on success in small business and investment issues as well as providing practical tips. David Koch speaks informatively from a base of personal experience and knowledge of business and financial issues. David Koch is a supporter of Father Chris Riley’s Youth off The Streets with his wife Libby acting as a YOTS ambassador and director of YOTS Overseas Relief Funds, while also being the patron of the YOTS managed Koch Centre For Youth at Macquarie Fields. At the end of 2012 David Koch was appointed chairman of the Port Adelaide AFL Club to steer the organization out of crisis and back on the road to sustained success both on and off the field.